As someone who regularly hosts IT leadership events, I’ve seen companies that are really good at approaching CIOs in a professional manner that leads to a valuable business partnership. I’ve also seen some who seem to believe that bringing CIOs to a fancy hotel or restaurant gives them some kind of implicit guarantee that their products and services will become part of the guests’ budgets. I suspect Lou Marcoccio has seen much the same, but with a true insider’s perspective. While in these roles, I was wined and dined by the usual suspects. In many cases it did no good to the vendor, other than build on a long relationship. Most CIO’s are working to a specific strategy and plan, and a roadmaps which defines goals, tactics, and projects. Some are very well defined, while others are defined by a few bulleted phrases. Most CIOs have defined their strategic vendors of choice, with whom they discuss issues to see if they can provide a solution before going to others. CIOs are motivated to do so, in order to take advantage of deep discounts and partnerships. CIOs also work out strategies with their company’s procurement organization, so that architecture and strategic solution governance can be more easily accomplished. Companies not tightly joined between procurement and IT are usually a vendor’s paradise and open season on individual business unit purchases. Marcoccio isn’t necessarily saying vendors should abandon all the golf tournaments, the hockey ticks and other marketing channels to get them face time with IT leaders. Instead, he’s simply reminding vendors that if they’re trying to break the ice, they need to be better prepared once it’s broken. That means having a deeper understanding of the CIO’s priorities (and being ready to listen, rather than simply sell, if they don’t walk in with this kind of information). Most CIOs would probably be nodding in agreement at most of this, but it’s that last sentence in that paragraph from Marcoccio that should probably concern them most. IT leaders are constantly under siege for being irrelevant, and I talk to more vendors who are actively considering decision-makers outside the CIO in order to fulfill their quotas. If the wine and cheese invitations are starting to dry up, it may be because companies are starting to realize a particular firm can be approached via the head of Sales, Marketing or HR if they want to get their (usually SaaS) product in the door. 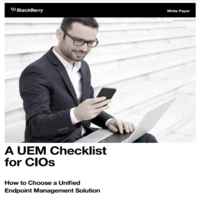 CIOs have increasingly realized the necessarily of developing a more comprehensive understanding of how these various business units work and how they could help them. If only for the sake of security and governance, they may need to revisit their relationship with procurement departments as well, and explore how the acquisition of technology could best support the organization’s long-term goals. It’s an equally vital relationship. Maybe vital enough that CIOs should think about their procurement departments out for dinner.